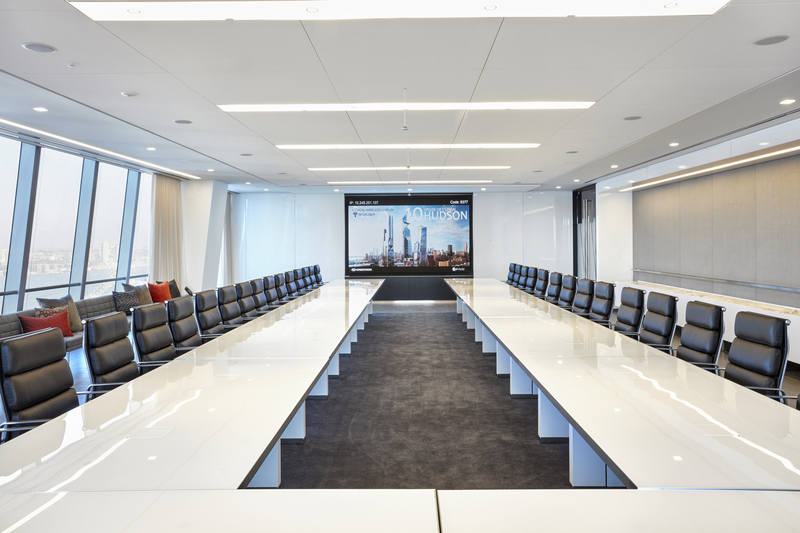 L’Oréal’s new U.S. headquarters is a “House of Brands” spread over 10 floors in Manhattan’s new Hudson Yards development. The space reflects L’Oréal’s roots in innovation and improves collaboration among multiple divisions and more than 30 iconic beauty brands. To reinforce the connectivity of the new office, the design team a Gensler New York devised a dramatic architectural statement by connecting the floors with two three-story staircases.